Working in the wilds of Yorkshire David draws and sketches waterfalls, bridges, barns and cottages in the wet, windswept dales. 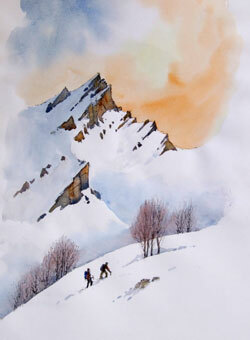 He then travels to the French Pyrenees to paint the rugged scenery of the high mountain peaks covered in snow and ice –even a few mountaineers. 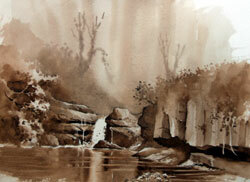 Finally, he chooses one of his sketches to work up into a full watercolour in his studio. The film is full of useful information and action-packed—as always he manages to have a few adventures along the way! 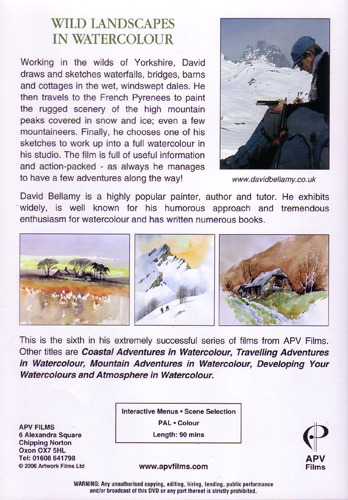 David Bellamy, a member of the British Watercolour Society, is a popular painter who enjoys painting and sketching in inaccessible places. 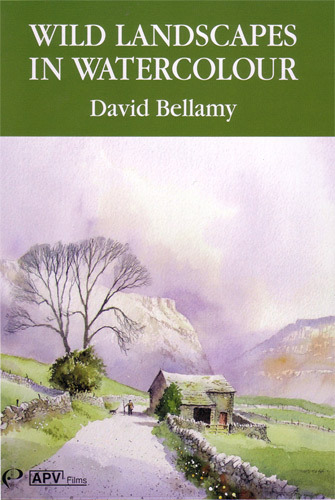 He exhibits widely, runs his own courses and has written several successful books.